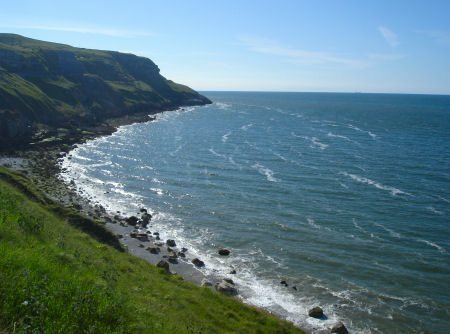 The Great Orme's Head, Llandudno, known as Pen y Gogarth in Welsh, is an isolated promontory of carboniferous limestone that rises to nearly 225 metres above sea level. The massive limestone headland dominates the town of Llandudno. There is a cafe on the summit of Great Orme, which rises to 679 feet (207m). The summit can be reached on foot or by car, tramway or cable lift, which operate daily during the summer months. The Marine Drive toll road encircles the headland of Great Orme providing spectacular views of the steep cliffs and the magnificent coastline to the south of the town and passes the Great Orme Lighthouse. The Summit Complex contains a tourist shop, cafe, visitors' centre, a children's play area and a licensed hotel. 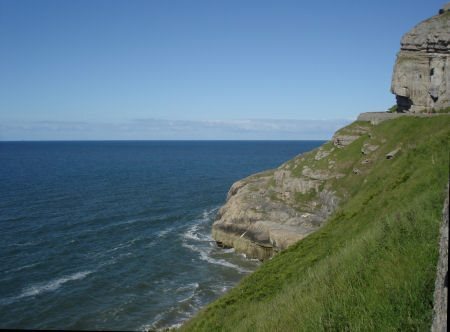 The term 'Orme' is beleived by some authorities to have derived from the Old Norse, word 'urm' meaning worm or sea serpent. The Great Orme contains a number of prehistoric remains including the Great Orme Cromlech, Liety'r Filiast, a burial chamber dating from Neolithic times, which is situated at the end of Cromlech Road. The remains of round hutsmay be seen at Bryniau Poethion, Hafnant and the halfway car park at the Marine Drive. 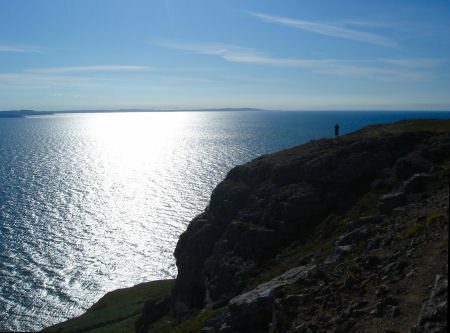 The Great Orme is home to a community of feral goats, a gift to the town from Queen Victoria and is notable for its butterflies and sea bird colonies, fulmars, kittiwakes, razorbills and guillemots haunt its towering cliffs. The Orme is a paradise for botanists, and flaunts a profusion of maritime flowers in the spring and summer. These include the rare goldilocks aster, spiked speedwell and Nottingham catchfly, as well as several species of cotoneaster not found elsewhere in Britain. An artificial ski slope, which provides instruction for beginners, along with the largest toboggan run in Britain are located a the summit. There is also a cafe and tourist shop. The Great Orme Tramway has been opened since 1902, it is the only cable hauled tramway still operating on British public roads, climbing a mile of track to the summit. The Halfway Station Exhibition covers the history of this funicular tramway, where the Victorian engineering can be viewed. The 100 year old tramway has now been lovingly restored. Trams operate:- late March - late October, seven days a week, 10am - 6pm. Along the lower slopes of the Orme are landscaped gardens in the Happy Valley and terraces in the Haulfre Garden on the steeply sloping southern side. 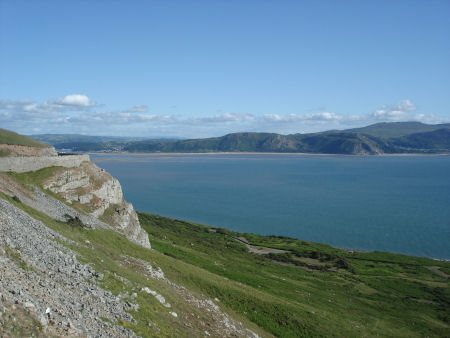 The Great Orme Nature Trail takes the visitor by a number of the ancient monuments. The Great Orme Copper Mines are probably the most important Bronze Age Copper Mines to be excavated and are now open to the public as a visitor attraction.The nearby Pen Dinas Hillfort is also an interesting site. 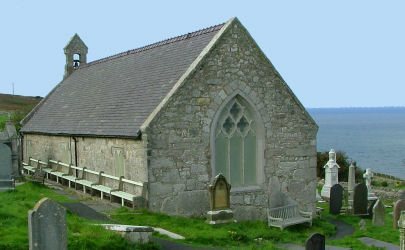 The church of St. Tudno lies in a sheltered hollow on the northern side of the Great Orme, the present building dates to the twelfth century, although it occupies the site of an oratory which was founded in the sixth century by the Celtic St. Tudno. 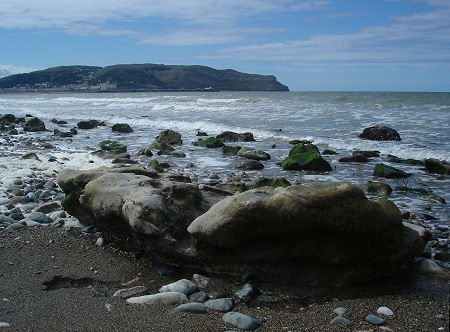 St. Tudno was one of the seven sons of King Seithenyn whose legendary kingdom in Cardigan Bay was submerged by the tides, he is now the patron saint of the town of Llandudno. A small cave on the headland, known as the Ogof Lech (the hiding cave) and very difficult to access, but with a clear spring of water, is reputed to have been St. Tudno’s cell. The Feast of Saint Tudno is celebrated each year on 5th June. 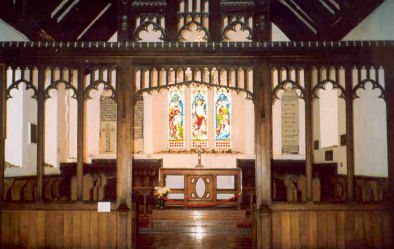 St Tudno's Church has undergone several restorations over the years, reaching its its present form in the fifteenth century. It lost its roof when it blew off in a fierce storm in 1839 and it was not restored until 1855 when a local benefactor paid for its repair. The oldest part of the building is the north wall of the nave, which dates from the twelfth century. Few ancient features now survive in the church, although the font is twelfth century. A wooden roof boss dating from the medieval period is located above the chancel step it depicts the 'stigmata' or five wounds of Christ and a beam in the chancel wall bears a carving of a serpent. There are also two stone coffin lids which back to the thirteenth century inside the church. On either side of the colourful east window painted tablets are positioned with the Lord's Prayer, the Creed and the Ten Commandments in the Welsh language. 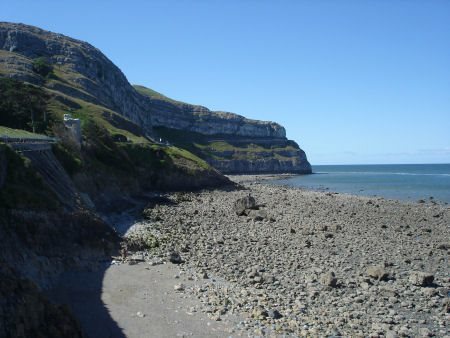 The Little Orme, a similar, but smaller headland stands at the eastern side of Llandudno Bay.